Everywhere they turn, Ashley and Bryce find mysteries. Ashley seems to have a secret admirer. Bryce notices a suspicious vehicle near their home and school. When Bryce investigates, he comes face-to-face with a person he never expected to meet! Can Bryce and Ashley solve the mystery before someone in town gets killed? Bryce and Ashley Timberline are normal 14-year-old twins, except for one thingthey discover action-packed mystery wherever they go. Find out where their search for truth takes them in the final installment of the Red Rock Mysteries series! 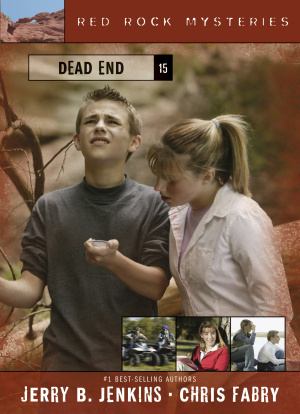 Dead End by Jerry B. Jenkins; Chris Fabry was published by Tyndale House Publishers in September 2006 and is our 29614th best seller. The ISBN for Dead End is 9781414301549. Be the first to review Dead End! Got a question? No problem! Just click here to ask us about Dead End.